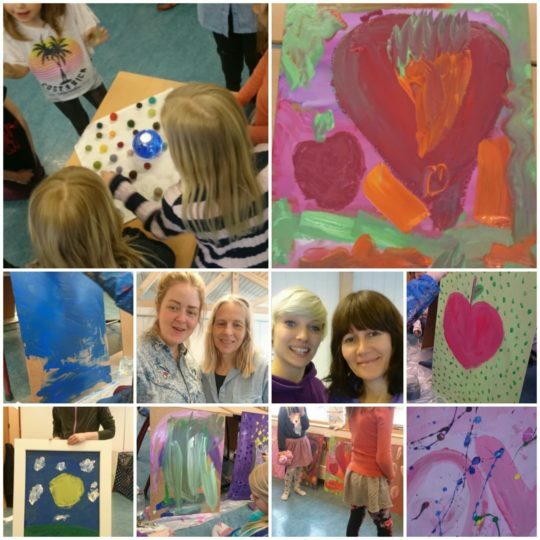 Peacepainting in Vadsø with Inger Unstad, Liss Inger Vassdahl, Atleten Kulturhus – workshops with refugee children and adults. In cooperation with Sisa – workshops at Komsa skole and Bossekop skole in Alta. Sisa kultursenter represented by Linda Zina Aslaksen and Elisabeth Lyng. Workshop in Honningsvåg Youth Club with Kamilla Nielsen and Marius Ingebrigtsen.